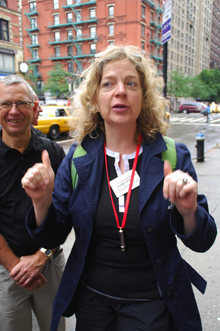 Kirsten thoroughly enjoys the art of guiding and hosting quality-seeking tourists and finds that her background in journalism is most useful in her guiding career. She guides in New Zealand (1 day to 3-week tours), Australia, USA, the Pacific and Japan. Amongst several international travel agents Kirsten collaborates with Danish Stjernegaard Rejser. Kirsten is a member of New Zealand's professional body for tour guides and driver guides Proguides New Zealand. Given her vast knowledge of and passion for New Zealand, Kirsten also creates amazing & customized itineraries for independent travellers and groups. Whatever your interest - be it food, wine, golf, architecture, Maori culture, NZ flora & fauna etc. Anything from 1 day to 3-week tours. Please contact Kirsten via emailwith your requests. Kirsten is the author of Denmark’s bestselling guide book to New Zealand, Turen går til New Zealand, published by Politikens Forlag. The book is part of Denmark's most famous guidebook-seriescovering 100 destinations and Kirsten rewrites and updates her book every three years. Buy the latest edition by clicking here. Kirsten became a New Zealand citizen in 2016. She is based in Nelson but her world is limitless! Stine Meinertsen, Product Manager, Stjernegaard Rejser/Denmark: "Being a tour leader you NEED to be very social but also very professional, and Kirsten is perfect at both. 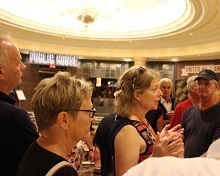 Furthermore she is knowledgeable, attentive, charming, fun and a person our guests want to travel with more than once. Also, when making tour presentations she sells lots of seats on her tours, and these tours are not cheap, which proves she has done a great job!" Ulla & Mogens Thomsen, Denmark: On the way home from New Zealand we all talked about what a phenomenal tour guide Kirsten is. So engaging, knowledgeable and fun. 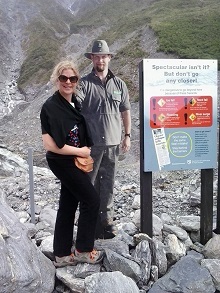 We have thoroughly enjoyed our tour in New Zealand. 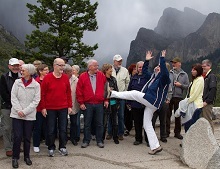 Susie & Edward Beall, USA: "You made our trip fun and worry free, thanks so much." Marianne & Jens Beck, Denmark: "Thanks to our super-guide we have had a fabulous tour. Kirsten, we miss your great humour and the way you looked after us. Thanks so much!"